Act as antioxidant and anti-aging in all kinds of skin care products. Use level: 0.50% to 5.0%. 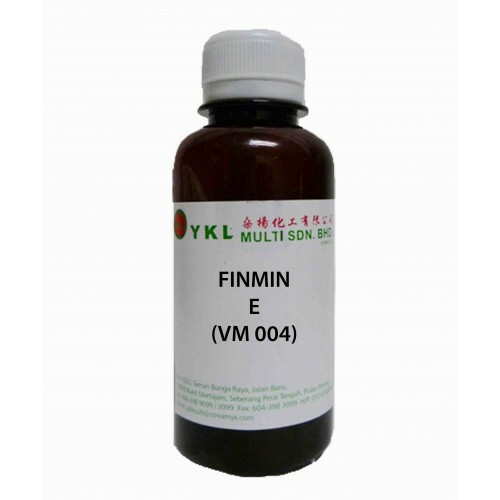 FINMIN E is a stable form of vitamin E. It is believed that the acetate is slowly hydrolyzed once it is absorbed into the skin, regenerating tocopheryl and providing protection against the sun's ultraviolet rays which is responsible for the redness of the skin and sunburns. FINMIN E works to prevent wrinkles, stimulates the blood circulation and regulates the skin's elasticity. FINMIN E is used in variety of cosmetic products include suncare and makeup products. FINMIN E is supplied in light yellow and viscous liquid. It is soluble in alcohols and oils. Add it into the cold formulas.